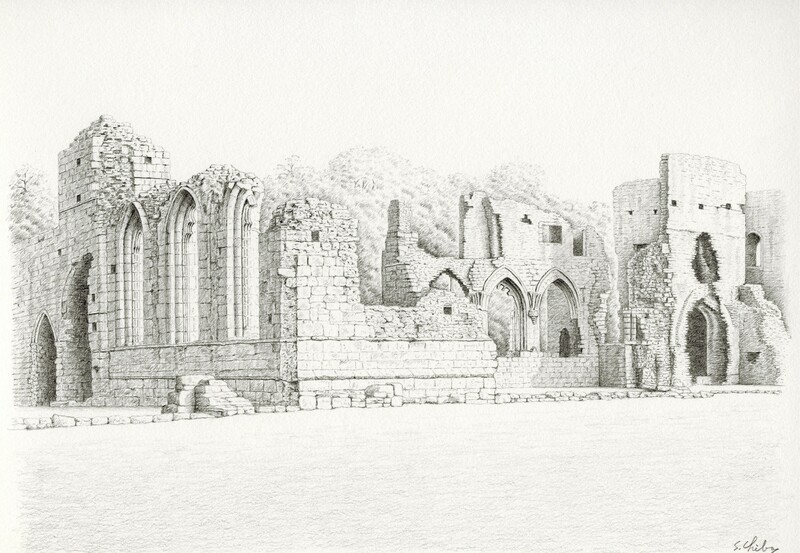 On the River Swale, a mile to the southeast of Richmond, there are the ruins of Easby Abbey (another name is St Agatha's Abbey) of the Premonstratensian order, which was founded in 1151 and completed in about 1310. Turner painted the picture of the ruins in watercolours in about 1818. I like the peaceful rural atmosphere of this picture and I can say it is one of his masterpices. My watercolour is the view of the ruins seen from the roadside of the A6136. 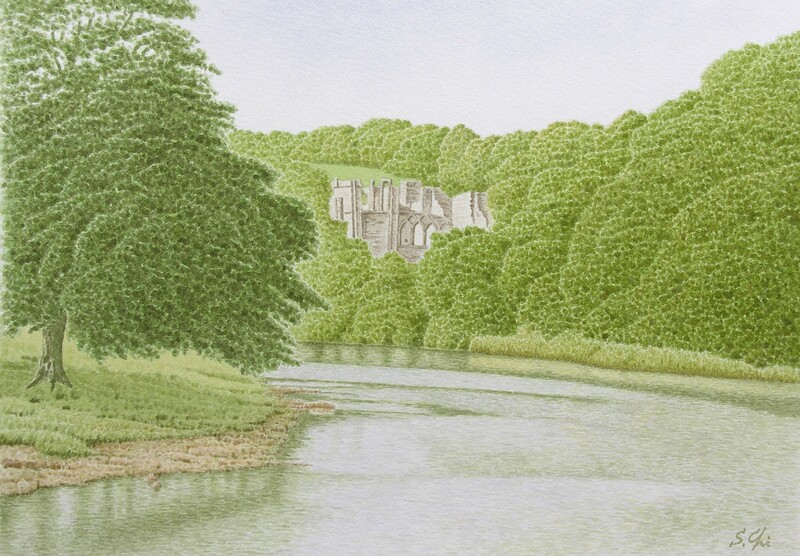 If I had descended by the river, I would have been able to stand at the exact point where Turner sketched the ruins.